I know I've mentioned this before, but I generally dislike fabric scraps. I typically give them away because I can't handle the clutter. But recently I was going through my scrap box and realized that I had a bit of an attachment to some of them, so I whipped up a few pillows! 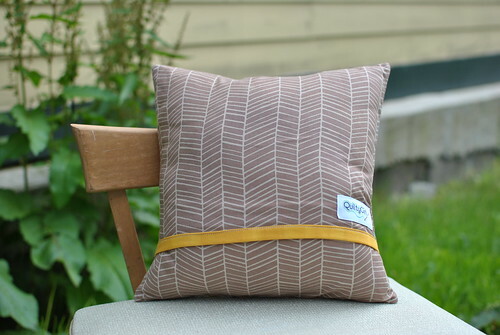 I really love how these turned out, and I think I've found a new use for my favorite scraps. 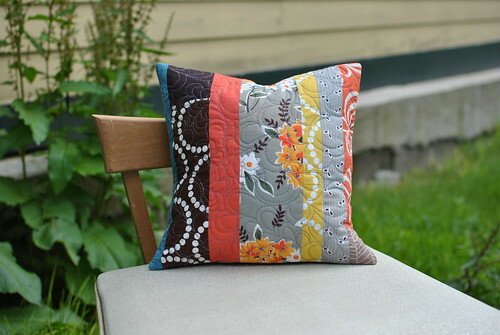 I love practicing my free motion quilting on pillows. 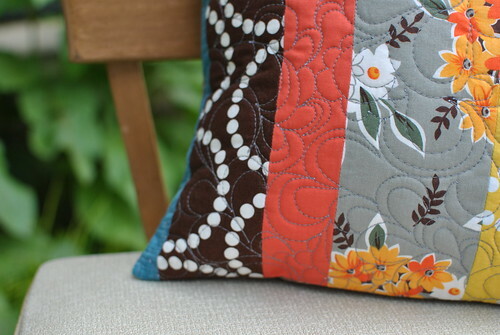 This paisley pattern is one of my favorites for small projects. Finished size is about 11" square. 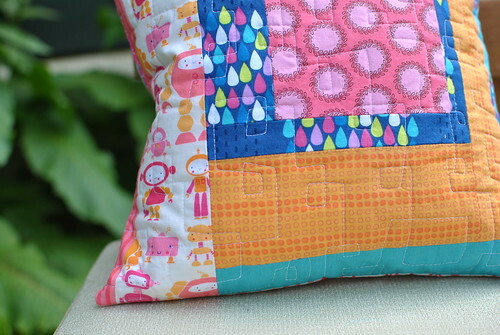 I like the way this quilting has a "circuit" feel to it. 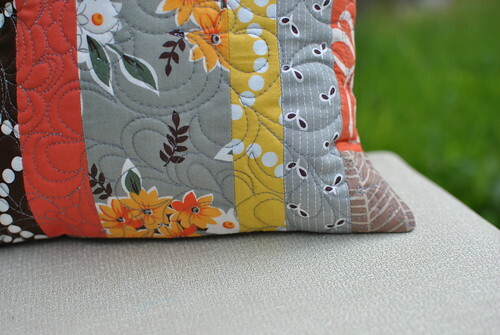 Typically when I quilt in a square meander, I don't cross my lines. 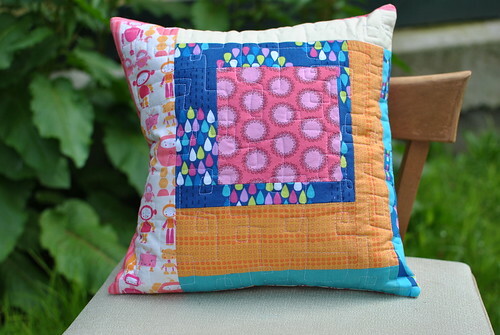 I saw this quilting style over here and decided to give it a shot! It was fun to do, and I think it would be great on a guy quilt. 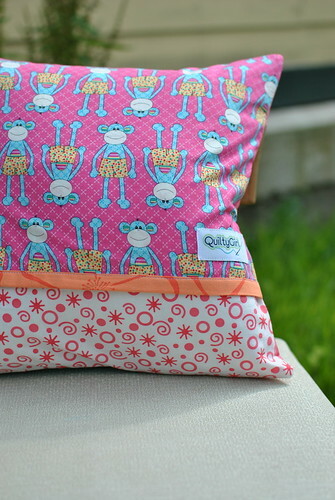 For the back I used a monkey print by Melly and Me and a pink print. Another contrast trim, too! Finished size is about 12" square. I'm sure there will be more pillows to come! I even started making some fun monochrome blocks from my scraps. Addy loves choosing the scraps piece by and piece and it keeps the blocks more random than if I were to choose the prints! She wants to make a quilt for us to use, so it may be awhile before those blocks pop up on here, though. I have lots more to blog about, but things may be quiet around here for a few weeks. Addy and I will be heading back to Illinois for a few weeks, and I have a lot of prep work before the trip. I hope to be back at it soon after our trip, though! I'm working on writing the pattern for my tote bag, and I'm still planning a giveaway to help me name the tote. Stay tuned! And lastly, I've decided to list a few things on etsy again! Items will slowly start trickling into the shop, wish me luck!